Few things are as frightening or nerve-wracking as a man needing space. 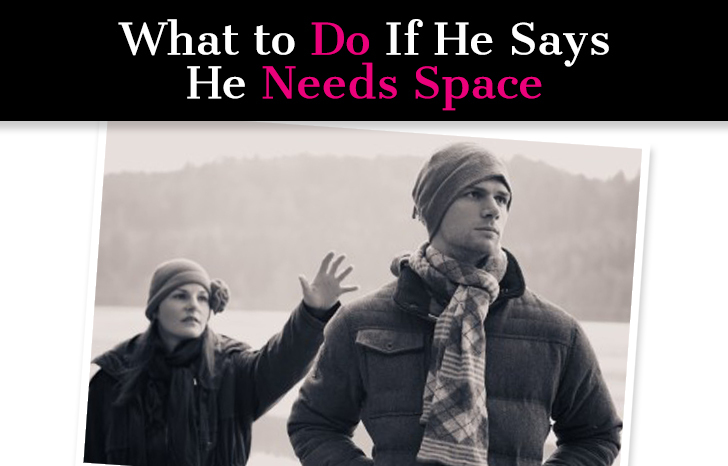 Maybe he comes right out and tells you he needs some space, or maybe you notice he’s backing away … you haven’t seen him in a while, his texts or calls are shorter and less frequent, and you can just feel it in your gut that something is amiss. If you ask him what’s going on and why he’s being this way, he might come right out and say he needs some space (which does nothing to assuage your mounting anxiety), or he might say something to indicate it in an indirect way, like he needs to focus on work right now, or he’s really stressed, or he thinks you should be spending some time focusing on yourself. Even worse, he may pretend like everything is totally normal, making you feel crazy, even though you know you’re not crazy and something is just not right here! Is He Pulling Away? What Should I Do? It’s the worst possible feeling. You try to ignore it. You try to justify. But you know what’s going on … he’s pulling away from you. This on its own isn’t so terrifying. It’s your perceived reason for why he’s doing it that fuels the pit in your stomach. You’re terrified it means that he’s losing interest and he’s going to leave. It’s not always easy to put your finger on what’s happening. He may be there physically, but emotionally he seems to be somewhere else. He seems withdrawn and emotionally closed off and the worst part is he won’t talk to you about it. You ask him, but he just brushes you off and makes you feel like a nuisance … which only adds fuel to your panicked heart. You can’t help but think of the worst case scenario and beat yourself up over what you possibly could have done to push him away. Well, relax! I promise you it’s not as bad as you think and getting things back on track isn’t that difficult. 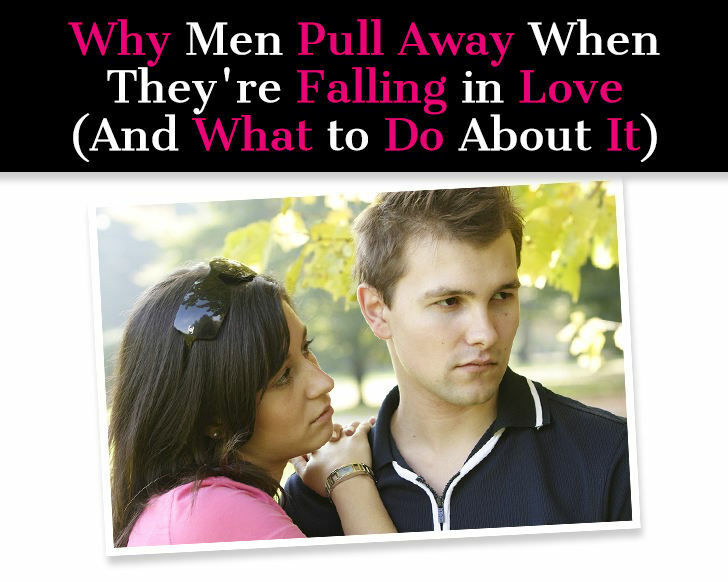 Why do men pull away after getting close? Is it something I did? Something I said? Is he losing interest? Is he going to break up with me? What’s doing on?! Any of those questions sound familiar? You’re not alone. I’ve asked them many a time and so have countless others! The fact is, men pull away sometimes. It can happen early in a relationship, it can happen further down the line. And it isn’t necessarily a bad thing! Relationships have ebbs and flows, just like everything in life. Most men deal with things by retreating, that is just the nature of a man and something about men that completely baffles and frustrates women. The big mistake here is making is all about you when really, it’s about him. But we all do this! Women tend to take way too much responsibility in a relationship and we blame ourselves whenever anything goes wrong. If a guy is pulling away, it must mean we did something to cause it. And then we become little detectives trying to piece together clues as to what we did to cause his sudden shift and we participate in this whole drama that is fully fictional and self-generated! Rather than torturing ourselves, let’s take a close look at what’s really going on and how we can handle it the right way. Love is all you need. Love conquers all. Love will find a way. True love lasts a lifetime. I could go on and on with these sappy, idealized, unrealistic portrayals of love we’ve been fed all our lives. Let me preface this by saying I’m no cynic. I do believe in true love and soul mates. I truly believe I married my soul mate. But I also know that love isn’t a magical cure-all and also, love isn’t always enough. Every couple who gets divorced once loved each other very much, they just couldn’t make it work. When a man starts to withdraw or pull away, a lot of women reflexively panic and try to do whatever they can to reel him back in. Although they have good intentions, most women inadvertently end up pushing their guy even further away. There is something magical about meeting a guy that you actually click with. It doesn’t come around every day, so when it does you latch on tightly and feel grateful, and at the same time, afraid. But your fears are soon put to rest because things seem to be going so well. The chemistry is strong, the vibe is good, you spend a lot of time together, you know he cares about you…and just when you’re starting to settle in and relax, he seems to be pulling away a bit. Maybe he doesn’t text as often… he doesn’t seem as enthusiastic about you or the relationship…or maybe it’s nothing you can put your finger on, just a feeling in the pit of your stomach. The first question when this happens is always: why?